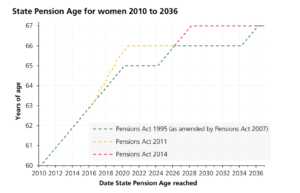 State Pension Age for women will now reach 65 in 2019, one year ahead of the 1995 timeline. It will raised to 66 for everyone during 2020. 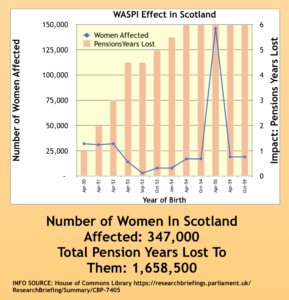 Then in 2014, Westminster increased rate of change in the State Pension Age for everyone again so that it will be 67 in 2028. 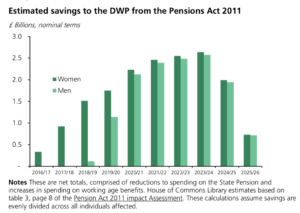 These changes will save the Dept of Work and Pensions a total of £34billion overall by 2026.